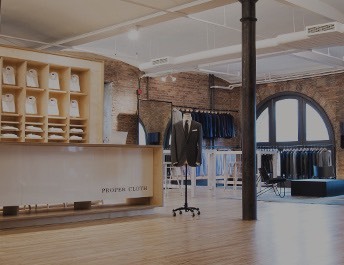 Proper Cloth has a range of cuff options to choose from: one button, two button, French cuffs, casual unfused cuffs, etc. Details on each cuff style available are listed below. 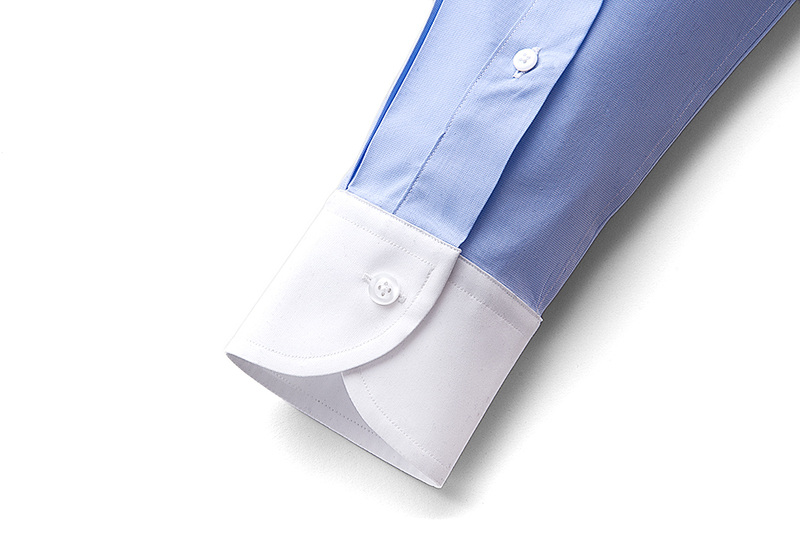 Our standard dress shirt cuff. The one button barrel is understated and classic. You can’t go wrong with this choice. This cuff is fused to maintain a crisp appearance and measures 2.375″. A slightly longer version of our standard one button barrel cuff. We based this cuff off the style common among the great Neapolitan shirtmakers, and it contributes to a more proportionally balanced look for guys with longer arms (34″ or so and up). This cuff is fused to maintain a crisp appearance and measures 2.875″. 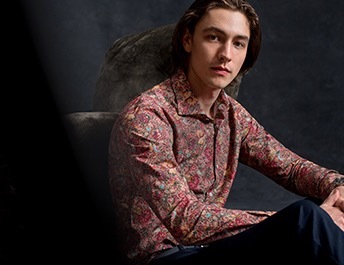 The one button mitered cuff is a dressy cuff that has the elegant mitered angle at the button closure, and the smaller size of a one button cuff. This cuff is fused to keep a crisp appearance and 2.625″ long. The two button rounded cuff is dressier than a one-button cuff, but not as formal as a two-button mitered cuff. This cuff is fused to keep a crisp appearance and 2.875″ long. 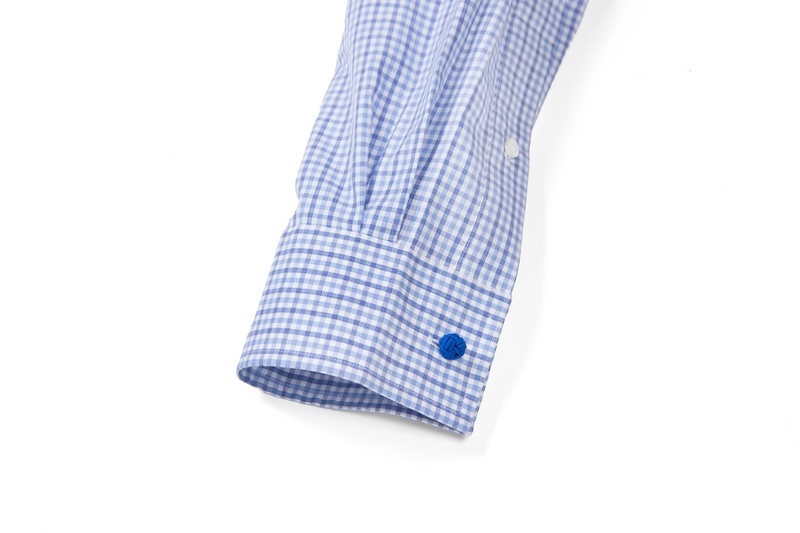 The two button mitered cuff is a popular dress shirt cuff that is dressier and more elegant than a standard barrel cuff. The two button placement makes this cuff a good match for wearing with watches. This cuff is fused to keep a crisp, dressy appearance and measures 2.875″ long. 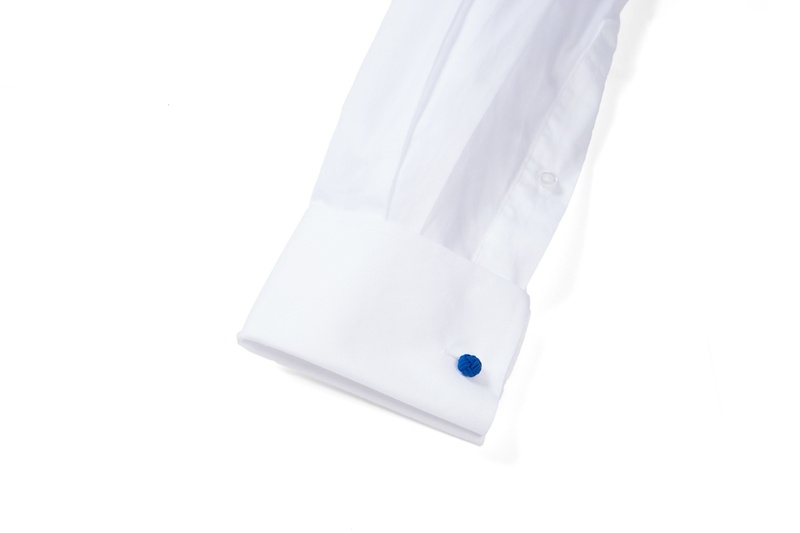 Our standard French Cuff is the go-to choice for tuxedo shirts. 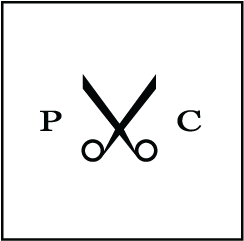 It is a completely square cuff shape and requires cufflinks to be worn. This cuff is fused to keep a crisp, dressy appearance and measures 2.875″ long when folded back. The rounded French cuff is just like the standard French cuff, except it has a rounded corner on the back edge nearest to the wrist. It is no less formal, merely a slightly different style. 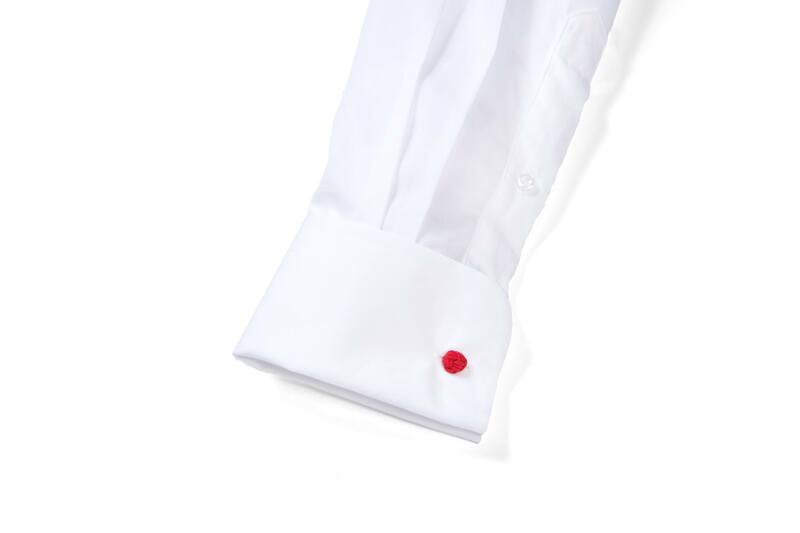 French cuffs require cufflinks to be worn. This cuff is fused to keep a crisp, dressy appearance and measures 2.875″ long when folded back. The convertible square cuff can be worn either buttoned like a barrel cuff, or with cufflinks. This cuff is fused to keep a crisp appearance and is 2.5″ long. Note that when the cuff is worn with cufflinks, the button is on the outside of the cuff (not touching your skin). However since it is on the side of the cuff that is facing the body it is generally not noticeable, and the cuff will have the appearance of simply being a French cuff. The same shape as our one button barrel, but without the stiff fusing. This is a soft, comfortable cuff that is a good match for casual style shirts. Without the fusing, the cuff shows personality and a bit of puckering. Cuff measures 2.375″ long. The same shape as our long one button barrel, but without the stiff fusing. This is a soft, comfortable cuff that is a good match for casual style shirts. We based this cuff off the style common among the great Neapolitan shirtmakers, and it contributes to a more proportionally balanced look for guys with longer arms (34″ or so and up). Cuff measured 2.875″ long. 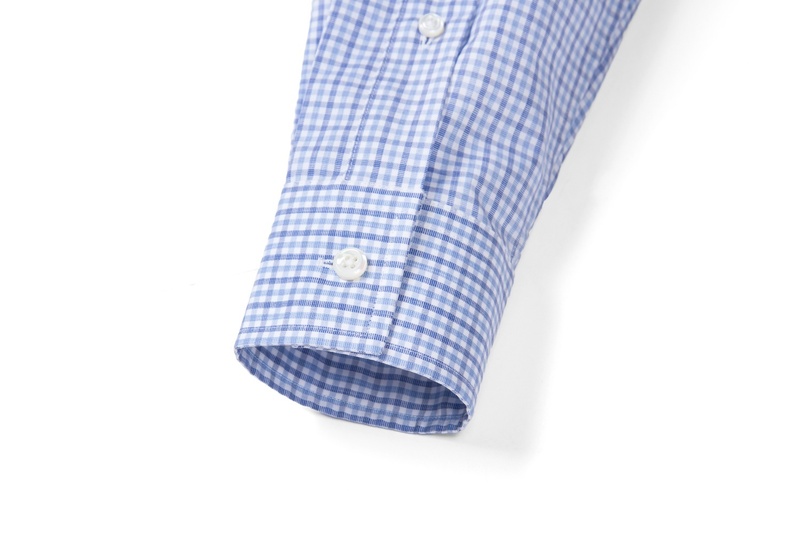 For a slightly larger and more interesting casual cuff, consider the soft square two button. The unfused cuff bends and conforms to the wrist much easier and generally feels more relaxed. Cuff measures 3.125″ long.